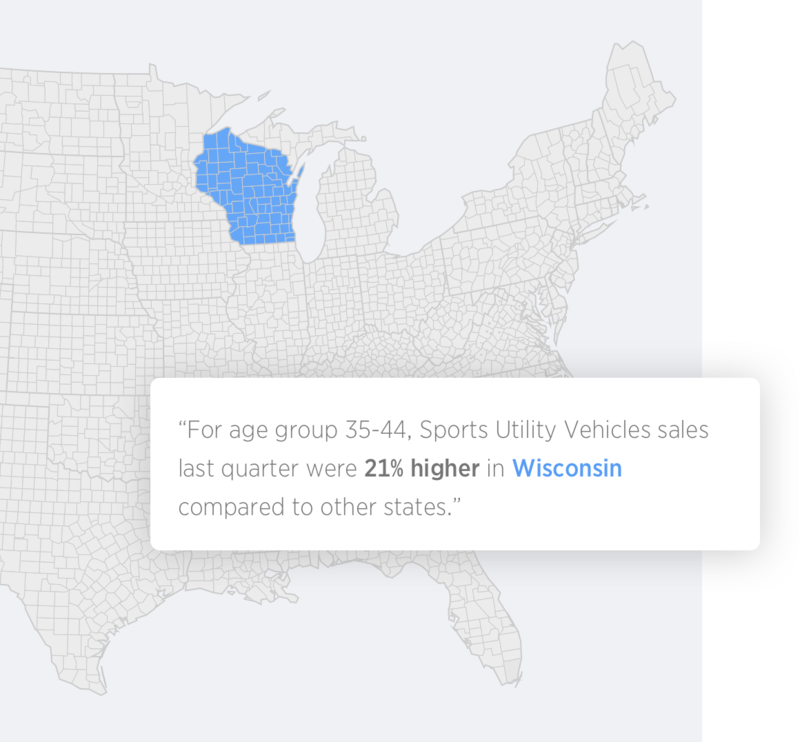 Get automated insights with a single click. 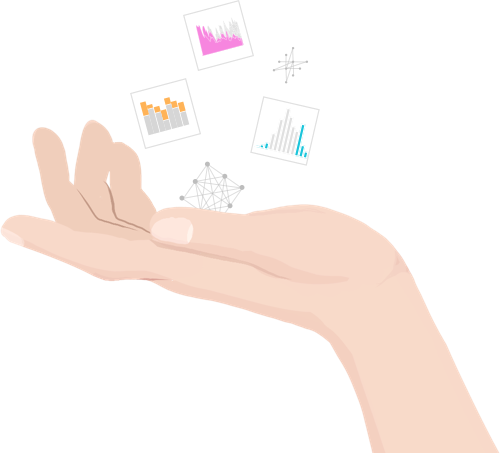 It’s not easy to know where to look in your data for insights, let alone find the time to build your own reports and dashboards. Using the power of AI, SpotIQ accomplishes in a single click what it would take 1000 analysts to find answers from their data. SpotIQ leverages the power of ThoughtSpot’s in-memory calculation engine to run thousands of queries on billions of rows of data and execute dozens of insight-detection algorithms. The most actionable insights for your business are uncovered in seconds. Identify causal relationships between business drivers and outcomes. Analyze business data over time to identify consistent patterns in noisy data. As people search to analyze their data in ThoughtSpot, SpotIQ learns what’s important and tunes its algorithms to provide more relevant insights. The more people and data in ThoughtSpot, the smarter it gets. Thumb-up insights you like, thumb-down those you don’t. Your input makes the whole system smarter for everyone. SpotIQ doesn’t behave like a black box. Humans are at the center of every interaction to create a trust-based, transparent interaction model. Auto-detect anomalies and outliers. Identify relationships between measures that you didn’t know about. 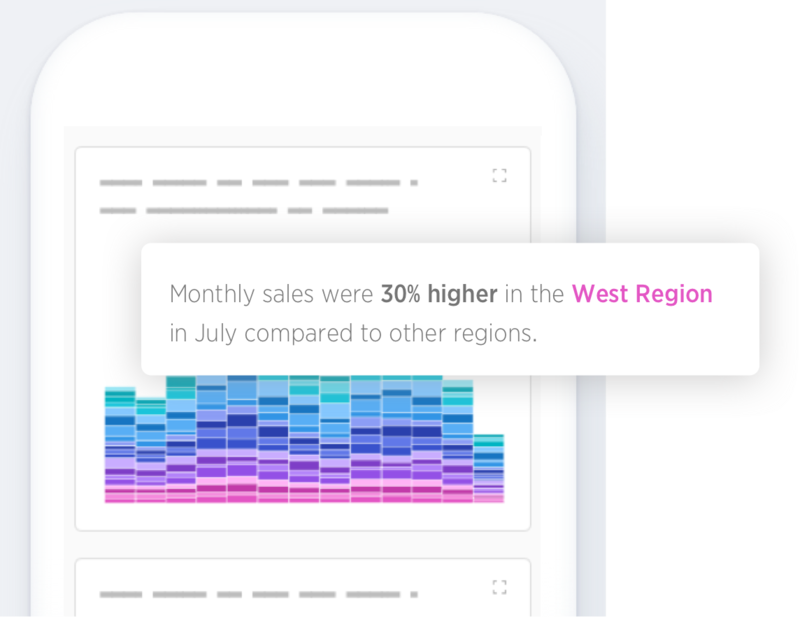 Discover trends on noisy data. Analyze an entire data set or granularly explain differences between two data points. SpotIQ employs dozens of sophisticated algorithms to spot insights that are important to you. SpotIQ uses ThoughtSpot’s massively parallel in-memory calculation engine to execute thousands of queries to uncover interesting insights on billions of data combinations across multiple sources in seconds. Spend less time interpreting data and charts. Actionable insights are described in a way you understand so you can make faster, better informed decisions. SpotIQ leverages ThoughtSpot's built-in DataRank machine-learning algorithm and reinforcement learning to find related data and get better with use. 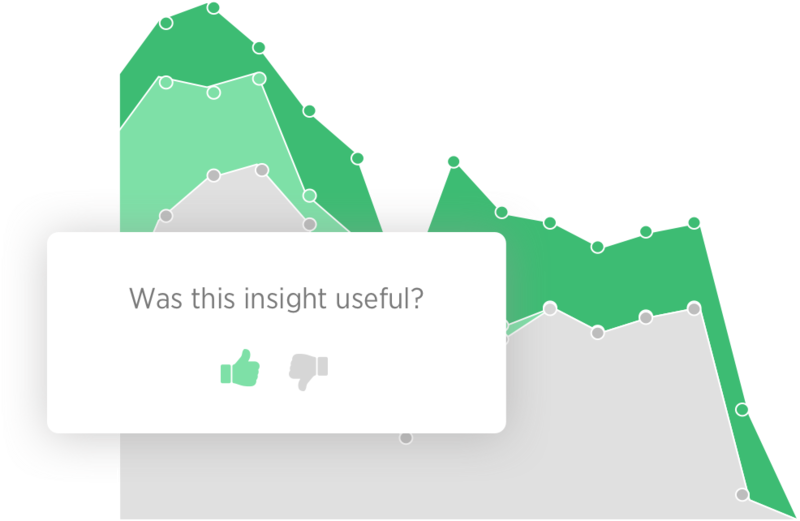 Users can further enhance insights with explicit feedback to ensure relevant, trusted and accurate machine-discovered insights. Humans remain in the loop to fine-tune the model. Subscribe to interesting insights or schedule recurring insight discovery jobs. Inject insights directly into conversations with the help of a bot. Get insights pushed to you when it matters most, even while you are on-the-go.